The hostel is located just meters from the beach Skull, one of the two most important beaches in the area, while a hundred meters from the center. The bar-restaurant is located on the main avenue, twenty yards from the main market, and one hundred meters from the central square. We offer a house with shared room, with bathroom and internal kitchen. If you prefer more private, have double or single room in the restaurant. It has two showers, hot water and an external for when you return from the beach. The house offers lounge chairs and umbrellas for guests. The beds have new mattresses, and give bed linen and towels. The restaurant serves lunch and dinner, and a large cocktail bar, all with discount for guests. Food author, known for its nutritious and innovative ingredients and combinations. Vegetarian food, fresh fish, organic meats. The bar opens doors for live musicians from diverse backgrounds and genres, as well as film screenings and art events, as happens all January 31 nominated - Polonio for peace. ATTENTION: There are no ATM in Cabo Polonio, either at the bus terminal. Excelente atención, dueños muy copados y atentos! 10!!!! Hermoso el Hostel, súper limpio y cómodo. El personal increíble, no pudo ser mejor! 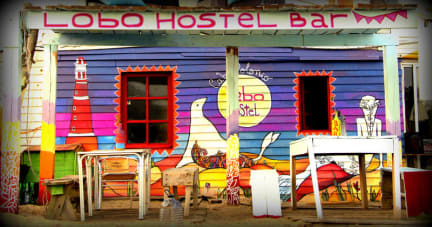 No es un hostel, es un hermoso hogar para una estadía en un lugar único. Muy limpio, personas buena onda, ideal para desconectarse y vivir el momento. Recomiendo! Me encanto mi estadia en el Lobo Hostel y en Cabo Polonio. Un lindo lugar, tranquilo, con personas muy muy amables y siempre buena onda ! Cada noche, todos se reunen con un fogon, para tomar algo y tocar musica. El hostel es muy comodo! Es el lugar perfecto para relajar, desconectar, donde te queres quedar mas tiempo. 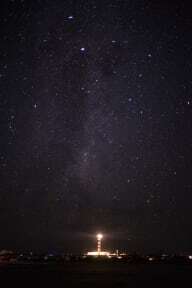 Es un hostel genial si quieres ir a desconectarte completamente y disfrutar de la naturaleza y buena onda de la gente, pero siendo así, debiera presentarse como tal y señalar que no tienen wifi ni luz, y que las duchas calientes se restringen en tiempo. El encargado es un tipo genial, muy amable y preocupado de sus huéspedes, fue una excelente experiencia para mi, pero hay gente que soportaría lugares como este que se venden con cosas que realmente no tienen.